This “Port Hole” exterior door is on display in our showroom in Montgomery, Alabama. This 42″ X 96″ Contemporary Door was built of Knotty Alder. 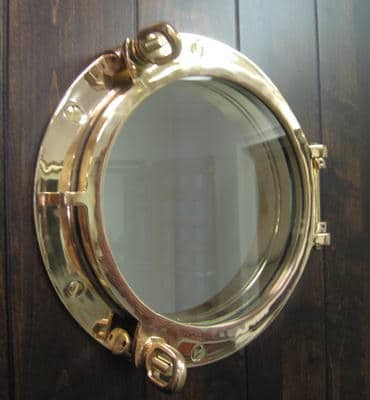 The Port Hole is solid brass and could actually be used in a ship.